MaryFran Simply...: Happy Birthday Norm! 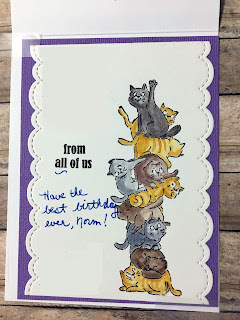 Good friend of ours, Norm, just had a birthday and this was the card for him! 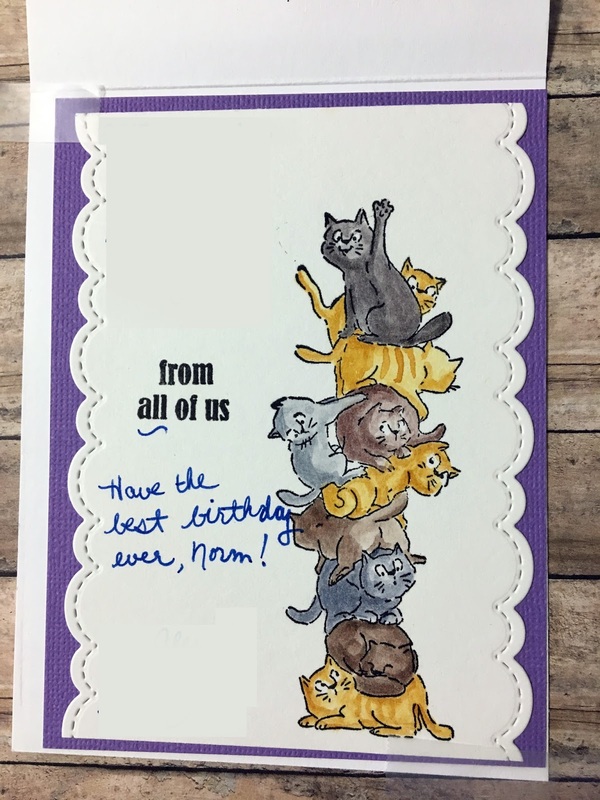 To create this top-fold card I began by die-cutting the speech bubble window and then matching up where I wanted to stamp the cats. 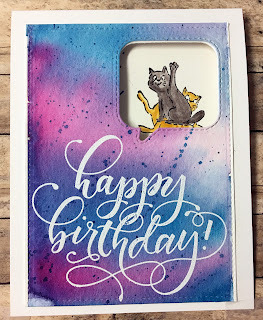 I stamped them onto some watercolor paper in Versamark Black Onyx ink and colored the cats with zig clean color markers, then die cut a fancy-schmancy border on each side, adhered it to some lavender cardstock and then adhered that to the inside of a card. Next I started on the outside of the card. 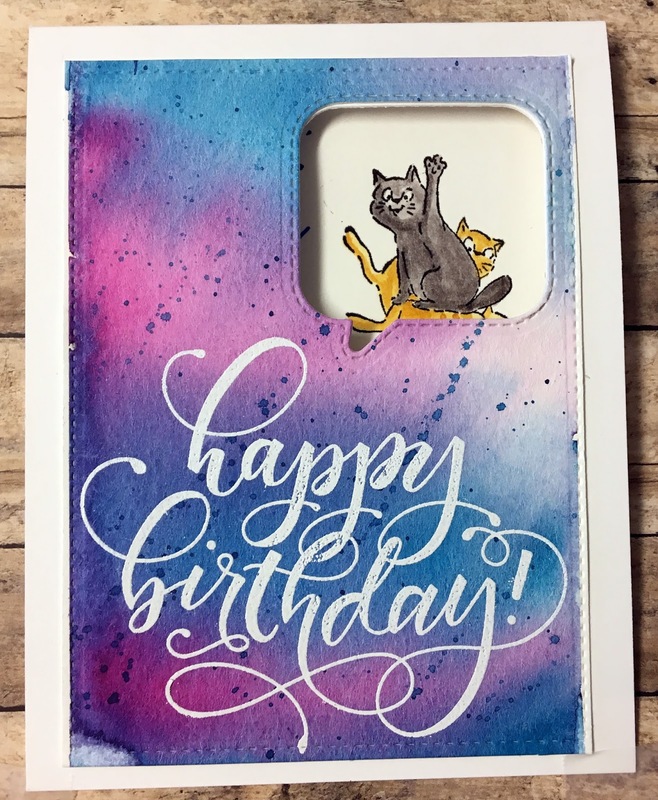 I matched up some watercolor paper to the window in the card front and die cut it. Once that was done, I wet the watercolor paper and swiped some pink, blue, and lavender across the panel and splattered with with some blue. Lastly, I stamped the Happy Birthday and white embossed it. This one was a little more work than I anticipated, but I had fun doing it!